In love with that sunglasses from Zalando and that bag from Persunmall that allows me to carry half of my bathrooom with me :)) including a pair of comfy shoes. You need a flat shoes in Rome if you want to see everything, dosen't matter how long is your vacation. I love Rome! Amazing outfit! The prints on the skirt is fantastic and very pretty. Great idea pairing it with the simple white tee to make the skirt "do the talking". I love a good big bag as I like to carry my day essentials. strepitoso sia il look che la location ! You look gorgeous as always! This place is magical an truly wonderful! 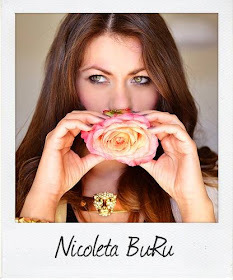 BTW I have same necklace but green,just nice to see it on you:) Lovely snapshots as well! Great outfit! I love it, especially the skirt and the necklace! Love Rome, it's such a beautiful city. The colosseum is si imponent! The pictures look amazing! WOW! 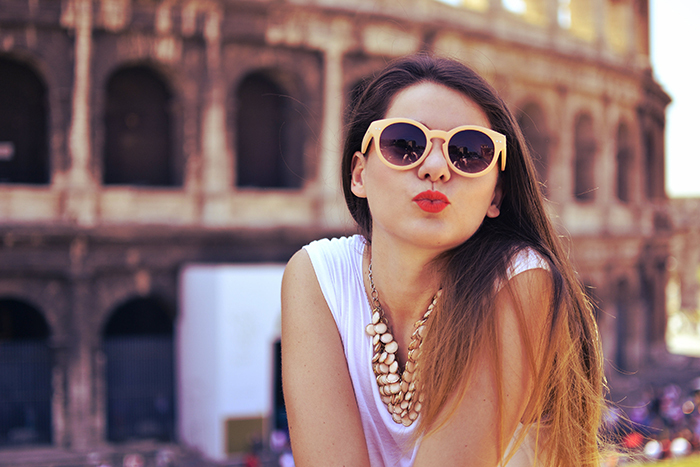 You look amazing, I love Rome!! Uno dei tuoi look piu' belli, così elegante e senza tempo, come quello che appare alle tue spalle! Totul arata atat de bine! !♥ Imi plac fustele astea, trebuie sa-mi cumpar si eu una! fusta e superba! imi place tare mult si tinuta! iti vine foarte bine! frumos si locul! ce mai! totul arata minunat! You look amazing, enjoy your week, xoxo. Wow! Superba tinuta, iar peisajul este absolut incantator! Estas divina, me quedo con tu bolso y tus gafas. Muackkkk. O M G!! Love the skirt, it's so pretty!!! You are an image of poise and elegance, such a beautiful look. Hi sweetie you look stunning!!! 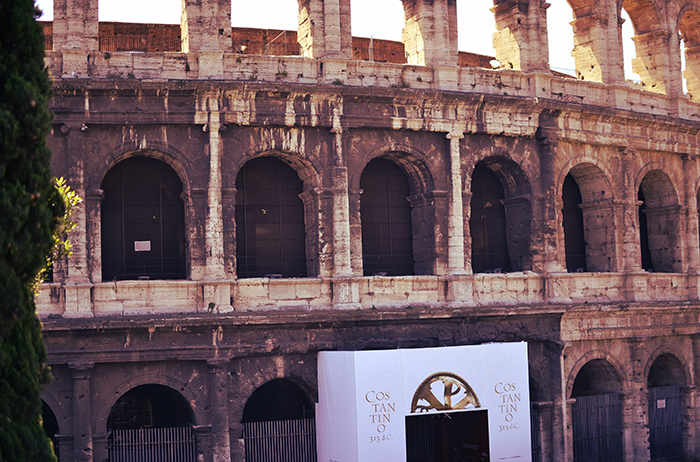 oh so beautiful Colosseum! 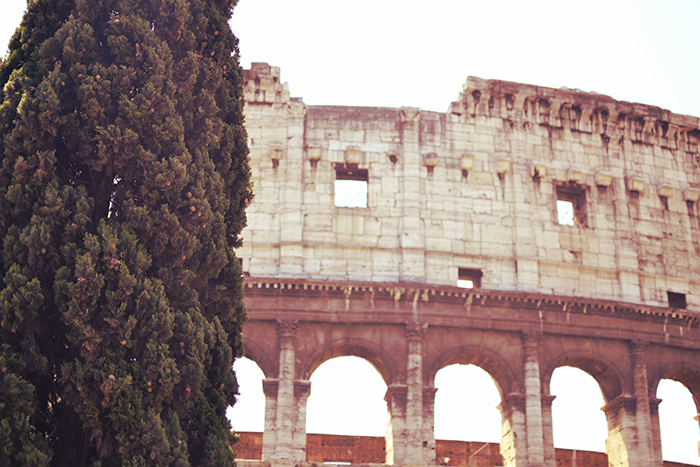 oh once in my life I want to go to Italy and the Coliseum in. Good outfit and lovely dress! Rome- I was here last year, great city! Beautiful pictures, and your skirt is awesome, love the lavander color! bella la tua gonna, mi piace molto! Wauw. Gorgeous outfit dear and the background is perfect. I love that skirt! Perfect sunnies too! amaizing background!! loved your bag & skirt! Your skirt is just fabulous! Love your sunglasses as well..
wow, what a skirt! You look ravishing! yuo are so beautiful. Roma is my city. Love Rome! Your skirt is so beautiful! Stunning look,dear! love your lokk! big like for bag and skirt! print is great! que fotos mas lindas y tenes un estilazo... me encanta todas las prendas de tu outfit! Super cute! I love your glasses and skirt. Great look as usual my love!!! tesoro sei troppo bella!stupendo look!baci! !